One Flew Over the Cuckoo’s Nest and Amadeus director Milos Forman has died at the age of 86. 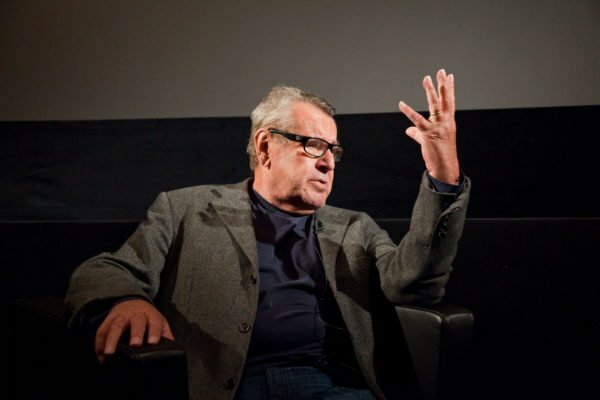 Milos Forman died on April 13 in the US after a short illness, his wife, Martina Zborilova, told Czech news agency CTK. The Czech-born film-maker was one of a small number of foreign directors to enjoy lasting commercial and critical success in Hollywood. One Flew Over the Cuckoo’s Nest won five Oscars in 1976, while 1984’s Amadeus won eight. Milos Forman’s other English-language movies included 1996’s The People vs. Larry Flynt, which earned him his third best director Oscar nomination, and 1999’s Man on the Moon. Antonio Banderas, who has said he was inspired to become an actor when he watched Milos Forman’s 1979 musical Hair, described him as a “genius of cinematography and master in the portrayal of the human condition”. Milos Forman was born in Czechoslovakia in 1932 and became an orphan when both his parents were killed in Nazi death camps during World War II. He made his name as a leading figure in Czech new wave cinema in the 1960s, but moved to the US when Russian troops invaded in 1968. Milos Forman’s first feature in the US, 1971’s Taking Off, was a critical if not commercial success. However, the follow-up, One Flew Over the Cuckoo’s Nest, firmly established him in Hollywood. One Flew Over the Cuckoo’s Nest was one of the biggest box office hits of 1975, taking more than $100 million, and became only the second movie in history to win Oscars for best picture, director, actor, actress and screenplay. It starred Jack Nicholson as a man battling the system in a psychiatric establishment and was based on Ken Kesey’s novel. Milos Forman followed that with Hair and 1981’s Ragtime before Amadeus, a look at the life of 18th Century composer Wolfgang Amadeus Mozart through the eyes of his rival Antonio Salieri. Its Oscars included best picture and best director. After 1989’s Valmont, Milos Forman made The People vs. Larry Flynt, with Woody Harrelson cast as the publisher. Three years later, Milos Forman cast Jim Carrey to star in Man On The Moon, the biopic of comedian Andy Kaufman. In 2012, when Milos Forman was honored with a lifetime achievement award from the Directors’ Guild of America, the guild’s president Taylor Hackford said he “finds the universality of the human experience in every story”. Milos Forman was married to actresses Jana Brejchova and Vera Kresadlova, having twin boys with the latter. In 1999, Milos Forman married screenwriter Martina Zborilova, with whom he also had twin sons, Andrew and James – named after Andy Kaufman and Jim Carrey.